You Should Go to the Sherman Celtic Fest. March 23rd, 2019 – Sunday, March 24th, 2019 @ 2190 Fallon Dr, Sherman, TX 75090. This Sherman Celtic Fest Costume is only one of our Ladies Fantastic Celtic Costumes available at Dallas Vintage Shop. We are committed to bring you all the areas Best Costume Event Listings, Details and Costumes. 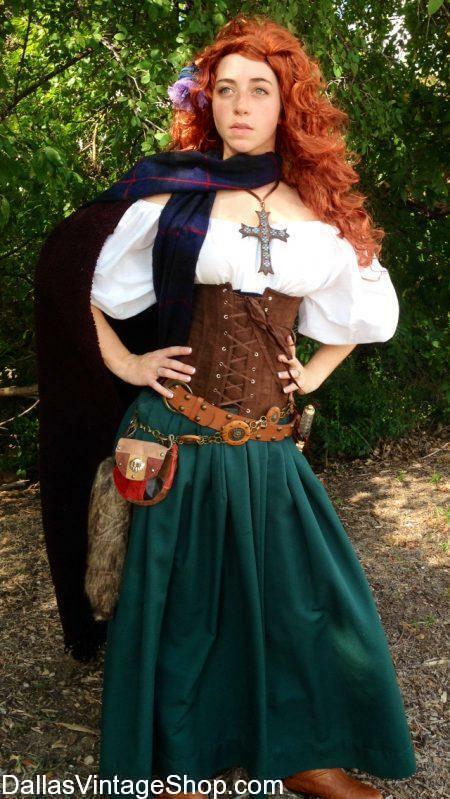 We have excellent Austin Celtic Fest Costume Ideas, Tartan Skirts & Over Skirts, Dresses, Quality Corsets, Wigs, Jewelry, Hair Adornments, Weapons, Sword Belts, Pouches & Satchels and Celtic Accessories that you have never imagined. For all your Celtic needs come see us. We are worth the drive. 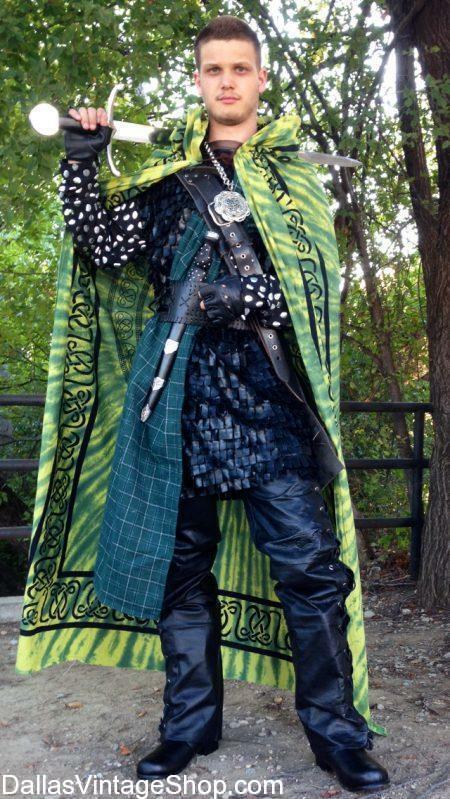 This Sherman Celtic Fest 2019 Costume provided by Dallas Vintage Shop. “This year the Sherman Celtic Festival will be exploring and celebrating various cultural and historical connections which link the United States to the Celtic peoples. We have many interesting and exciting things in store for our attendees. You won’t want to miss out! Find Endless Costume Ideas and Possibilities of the Sherman Celtic Festival, March 23rd, 2019 – Sunday, March 24th, 2019 @ 2190 Fallon Dr, Sherman, TX 75090. We have all the Sherman Celtic Festival Costumes you can imagine. Like this Men’s High-Quality Celtic Renaissance Costume. You will find Tartan Kilts, Wigs, Baldrics, Accessories and more Celtic Clothing, Accessories, Men & Ladies Jewelry and Garb, Shirts, Cloaks, Blouses, Skirts & Dresses and more. Get Complete Sherman Celtic Festival Costume Ideas or just the pieces you need. We have Weapons, Sword Belts, Pouches & Satchels and Celtic Accessories that you have never imagined. For all your Celtic needs come see us. We are worth the drive. Find great costumes like this Ladies’ Celtic Theatrical Costume, Wigs, Tartan Swags and more at Dallas Vintage Shop! These costumes are perfect for school productions, plays, and cultural festivals like the upcoming Sherman Celtic Festival on March 23rd! Looking for a Fun Celtic Event in Sherman? Check out Sherman Celtic Festival & Highland Games March 23rd, 2019 – Sunday, March 24th, 2019 @ 2190 Fallon Dr, Sherman, TX 75090. We are ready for the Sherman Celtic Festival. Come and get Celtic Pattern Capes & Cloaks, Celtic Accessories and Costumes. We have more Scottish, Welsh & Irish Celtic Outfits in one place than you would believe. We are committed to bring you all the areas Best Costume Event Listings, Details and Costumes. We have excellent Sherman Celtic Fest Costume Ideas, Tartan Skirts & Over Skirts, Dresses, Quality Corsets, Wigs, Jewelry, Hair Adornments, Weapons, Sword Belts, Pouches & Satchels and Celtic Accessories that you have never imagined. For all your Celtic needs come see us. We are worth the drive. You are in 2019 03/23 Sherman Celtic Festival & Highland Games category.